Which translates into a production slow down. When there’s a lack of a specific automotive material, for whatever reason, there’ll likely be production problems. This is apparently the case at the moment for the BMW i3. 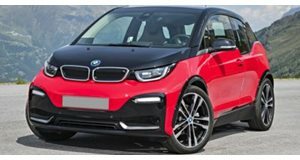 According to Bimmerfile, there’s not enough carbon fiber raw material coming in from Japan to the i3 production facility in Moses Lake, Washington. The reason? The recent Asian typhoon. With a lack of raw material, the plant’s furnaces will need to be shut down, cooled and then cycled back up again once shipments arrive. Once a furnace is turned off, it takes a week to get it back up and running. The facility is currently being expanded, scheduled to be completed by early 2015, to make it the world’s largest carbon fiber plant. It’ll just need raw materials first. There’s also another i3 production issue, although far less serious. The leather upholstery option tanned with olive extract also can’t be produced fast enough, thus a delay by as much as a month for orders in Europe.